Challenges: Generating quality leads was always a challenge for Chicagoland Mold Doctors. After hiring several unsuccessful SEO companies and several wasted months later ChicagolandMold Doctors decided enough was enough. The previous SEO companies used link farms which caused the website to be penalized by Google. Results: Today, the company does 7 figures in sales strictly via leads obtained from the internet.. 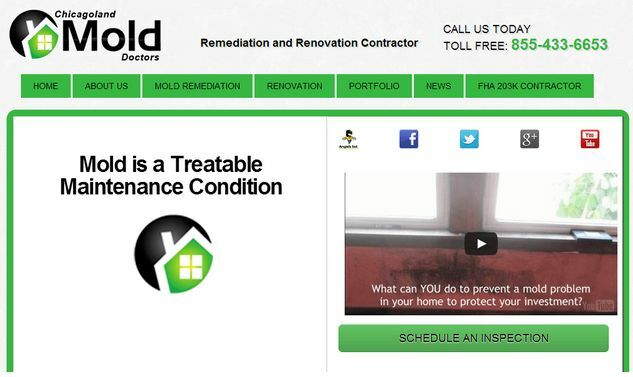 They are now rated as the top mold remediation company in the Chicagoland area. The company has since launched another line of business which is also ranked on the top for several highly competitive keywords.